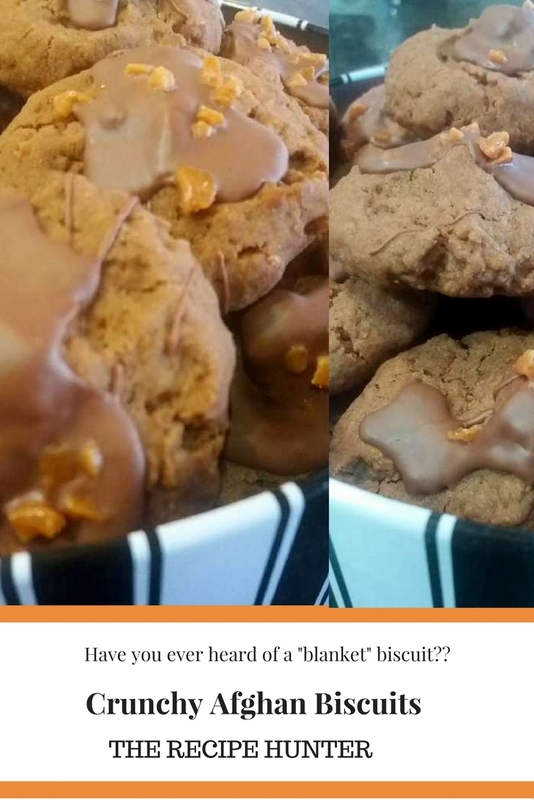 An Afghan biscuit is a traditional New Zealand biscuit with a high proportion of butter, and relatively low sugar, and no leavening (rising agent) giving it a soft, dense and rich texture, with crunchiness from the cornflakes. Preheat oven to 180 C / Gas 4. Grease a baking tray. Cream together the butter and sugar until light and fluffy. Add the flour, cornflakes, cocoa powder and mix well. Divide the biscuit mixture evenly into about 30 small balls and place on the prepared baking tray. Pull up a little dough in the center like a turban. Bake in the oven for 15 minutes until firm. Transfer to a cooling rack.